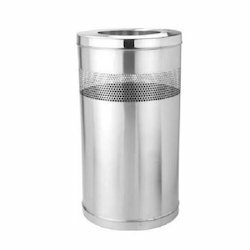 Providing you the best range of institutional bins, plain stainless steel open bin, ss push can bin, ss swing bin, ss dustbin and stainless steel open perforated bin with effective & timely delivery. With highly driven technical excellence and advanced infrastructure, we have been able to offer our clients a vast array of Open Bins SS. The offered range is made of high-grade stainless steel. This range is highly appreciated by the clients for its innovative and fascinating designs. Our range of product is available in a variety of sizes that had a huge holding capacity. We offer these at affordable prices to our clients. 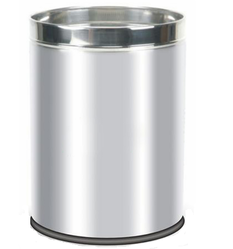 To beat the competition and stand tall in the market, we are engaged in offering a qualitative range of Push Can Bin SS. 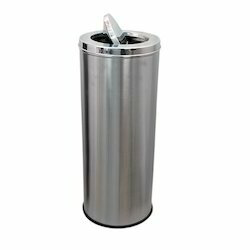 Manufactured using high-grade steel, the offered bin is widely acknowledged for its perfect finish and corrosion resistance. 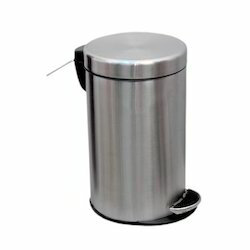 Moreover, this range of bins is widely used in luxurious hotels, restaurants and smoking zones of big companies. In addition, client can avail this product from us at market leading prices. With the constant support of our team of expert professionals, we are engaged in offering a huge assortment of Swing Bin SS. The offered range of products is widely used for both commercial and residential purposes. This range of products is provided by us in several shapes, sizes and designs to suit different client preferences. In order to ensure our clients about long service life, these are fabricated from the superior quality raw material. 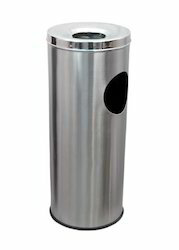 We offer these bins at genuine prices to our valued clients. With the constant support of our team of expert professionals, we are engaged in offering a huge assortment of SS Dustbin. The offered range of products is widely used for both commercial and residential purposes. This range of products is provided by us in several shapes, sizes and designs to suit different client preferences. In order to ensure our clients about long service life, these are fabricated from superior quality raw material. 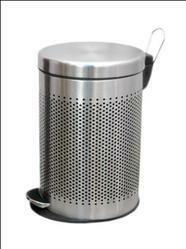 We offer these bins at genuine prices to our valued clients. 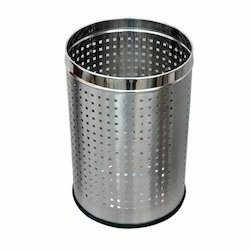 Stainless steel open perforated bin. With highly driven technical excellence and advanced infrastructure, we have been able to offer our clients a vast array of Pedal Bins Perforated. The offered range is made of high-grade stainless steel. This range is highly appreciated by the clients for its innovative and fascinating designs. Our range of product is available in a variety of sizes that had a huge holding capacity. We offer these at affordable prices to our clients. With highly driven technical excellence and advanced infrastructure, we have been able to offer our clients a vast array of Pedal Bins SS . The offered range is made from high grade stainless steel. This range is highly appreciated among the clients for its innovative and fascinating designs. Our range of product is available in a variety of sizes that had a huge holding capacity. We offer these at affordable prices to our clients. 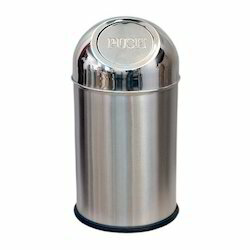 Fascinating range of superior quality Ash Can Bin and Ash Tray SS is offered by us for our valued customers. These are fabricated using high class stainless steel that had been procured from reliable and trusted vendors of the market. Our range of product is available in various sizes and dimensions as per the specifications of our clients at market leading prices. Ideal for areas with lesser space.